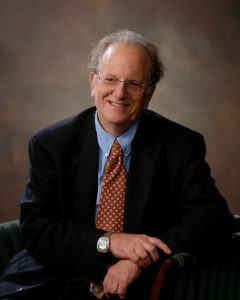 Charles Bazerman (PhD, Brandeis, 1971), Distinguished Professor in the Gevirtz Graduate School of Education at the University of California, Santa Barbara, began his career teaching first and third grades at PS93K in 1968 in Brooklyn. His interests include lifespan development of writing, academic writing, and how writing forms and transforms people and societies. He is founder and former chair of the International Society for the Advancement of Writing Research and former chair of the Conference on College Composition and Communication. He has been a Fulbright Senior Specialist at the University of Porto, Portugal, and at Masaryk University, Czech Republic, as well as a Researcher of Excellence at the University of the Lorraine, France. He was additionally granted Doctor Honoris Causa by four national universities in Argentina: de Cordoba, de Entre Ríos, de Río Cuarto, and de Villa María. His books include A Rhetoric of Literate Action, A Theory of Literate Action, The Languages of Edison’s Light, Constructing Experience, Shaping Written Knowledge, The Informed Writer, The Handbook of Research on Writing, Traditions of Writing Research, Genre in a Changing World, and What Writing Does and How It Does It. He also has published more than 100 articles and chapters. The James R. Squire Award, formally called the NCTE Executive Committee Award was established in 1967. In 1999, the Executive Committee renamed the award to honor former Executive Secretary, James R. Squire, for his contributions to NCTE and the profession at large. This award is given by the Executive Committee in recognition of outstanding service, not only to the stature and development of NCTE and the discipline which it represents, but also to the profession of education as a whole, internationally as well as nationally. The James R. Squire Award is a special award given to an NCTE member who has had a transforming influence and has made a lasting intellectual contribution to the profession. The NCTE James R. Squire Award does not need to be awarded each year. This award should be bestowed only when the subcommittee decides that nominations warrant presentation of the award. The selection committee will consist of the outgoing Past President and a committee of three Past Presidents of the Council appointed by the outgoing Past President. The James R. Squire award selection committee will select an award recipient and the Executive Committee will approve the committee’s selection at an Executive Committee meeting.